The undisputed Soul Queen of New Orleans radiates warmth both onstage and off. 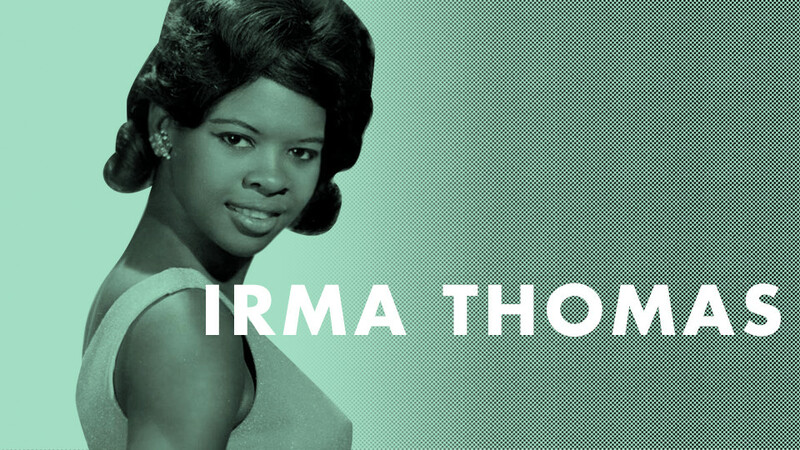 Irma Thomas was a young waitress when she sat in with Crescent City bandleader Tommy Ridgley while waiting tables. She was fired but had the last laugh when her saucy rocker "Don't Mess With My Man" became a national hit on Joe Ruffino's Ron label in 1960. Pianist Allen Toussaint worked closely with Irma during the early '60s at Minit Records, writing and producing her wistful classics "It's Raining" and "Ruler Of My Heart," but she cut her biggest seller, 1964's self-penned "Wish Someone Would Care," in L.A. for Imperial. That was also where she did her immortal "Time Is On My Side," covered much to her chagrin by the Rolling Stones. Irma's contemporary albums for Rounder have continued to build her incredible legacy.